Lake Baikal is the region’s most important natural asset, which is why thousands of tourists come to Irkutsk every year. Baikal is around 25,000,000 years old and its crystal clear waters cover an area of 31,470 km2 comparable to the size of Belgium. The maximum depth of the lake is more than 1,637 m. RBTH spoke to Ekaterina, a native of Irkutsk about why you should go on a getaway to Baikal before setting off for the shores of the world’s most famous lake. 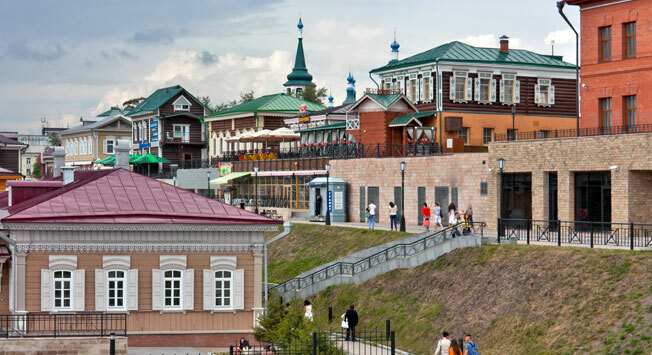 · One of the peculiarities of Irkutsk is the enormous number of wooden houses with no running water, central heating or plumbing. More to the point these houses are not found on the edge of the city but right in its historical centre. As an example, the city has its own wooden ‘country village’ next to the central market. · A trip to the so-called 130th district (the Irkutskaya sloboda) in the centre of the city near the Krestovaya gora is a must. This is where the city’s historical structures have been preserved such as merchant’s houses and other architectural monuments. You can walk around this district and enjoy refreshments in one of the restaurants, bars or coffee houses and purchase souvenirs. · The most widely visited tourist site is the Listvyanka settlement - this is Baikal’s most picturesque shoreline, at the very source of the Angara River. You have to allow for at least 5 hours journey time. You will need to travel about 70 km by taxi or route taxi along the Baikal highway. The road is beautiful, winding and surrounded by tracts of forest. You will find yourself in a tourist paradise with its own restaurants, hotels, saunas and banyas. This is where you can buy all sorts of souvenirs and visit the fish market. · On the way back from Listvyanka spend a few hours in the Taltsy ethnographical museum complex (47 km from Irkutsk on the Baikal highway) and see a real Siberian village: its ceremonies, daily life and traditions. Here you can learn how to make bark shoes, paint matryoshkas and drink tea the Siberian way. Exhibitions, small souvenir shops and stores are open within the museum itself. Sample the stuffed pike, lightly salted cucumbers, suet with mustard, and for dessert - Siberian herbal tea and a pie with cowberry in the tavern! Entrance to the museum costs $7.00. · The pianist Denis Matsuyev is one of Irkutsk’s most famous sons. He loves his home city and regularly performs concerts there, attracting capacity crowds and doing charity work. If you catch him when he is in town, the performance is a must. · Whilst visiting Lake Baikal you will often be invited by locals to ‘arrange a wild fishing trip for a few days’. Do not give in to them, because these trips need to be planned carefully and in advance, only put yourself into the hands of guides that you know very well. On the other hand, you could find yourself somewhere where civilisation and communication (except for mobile phones) are nowhere to be found, with an inexperienced huntsman among the taiga ticks. · If you decide to go to a nightclub take some friends with you and book a table, although Irkutsk is not known for its active nightlife.